Jett Bennett moved to New York to become a music journalist. What she found was a temp gig as a proofreader, but at least she’s fitting in with the artists and musicians in the tragically hip Brooklyn neighborhood she calls home. 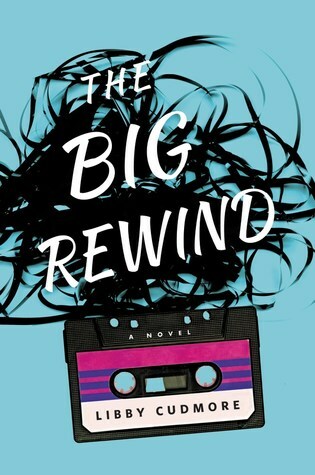 But when Jett opens up her mail and finds a mix tape meant for her neighbor, KitKat, a local queen bee renowned for her “enhanced” baked goods and retro videogame collection, everything changes. Jett drops off the cassette and discovers that it’s game over for KitKat: someone bashed her head in with a rolling pin… and left her pot brownies burning in the oven. KitKat’s boyfriend, Bronco, is M.I.A. Her sister is so desperate that she asks Jett to snoop around. Then there’s that mix tape. Jett didn’t know KitKat well, but she knows music. And a tape full of love songs from someone other than Bronco screams motive—sending Jett and her best friend, Sid, on an epic quest to find KitKat’s killer through record stores, strip joints, vegan bakeries, and basement nightclubs—a journey that resonates with Jett, and her past, in unexpected ways. As much as I dislike hipsters, and I sort of really do, I do love Brooklyn and I liked the utterly strange synopsis on the back of the book. Happily I gave this book a chance as I was not to be disappointed; I even found it compulsively readable! Jett Bennett is the main character and as much as I found her to be somewhat annoying at times and definitely a bit oblivious for her age, I couldn’t help but like her and her chutzpah. Despite being somewhat of a mess emotionally, and well in most parts of her life really, she never gave up and continued to forge on. Her desire to find KitKat’s killer and her innovative investigative ways definitely helped make the book a resounding success. The most interesting parts for me were definitely following her off the cuff antics which resulted in a very good ending. The book was definitely quirky and very unique, much like hipsters themselves I suppose. I liked a lot of the dialogue which could be utterly amusing and witty at times. The book also felt a little tongue in cheek ironic (imagine irony with hipsters!) and I suppose that was intentional and if not, then it was just meant to be. Irony and hipsters ... seems like the perfect fit!